Summary: There are top 5 best facecam recorders for all type of platforms that allow you to record videos from iPhone/iPad as well as make great P2P videos for gameplay, tutorials or any other purpose. Watching a great video on your iPhone or iPad but the site doesn’t allow downloading those videos? Or want to make a P2P video so that your viewers can watch your expressions when you are communicating with them? Know the top 5 best facecam recorders for all type of platforms that allow you to record videos from iPhone/iPad as well as make great P2P videos for gameplay, tutorials or any other purpose. DVDFab Screen Recorder & Editor for iOS is a powerful facecam recorded capable of not only recording your screen from iPhone but provides you tools to edit those videos as well. With this facecam recorder, you can crop, trim your videos, add your own watermark, make a video with P2P (Picture in Picture) effect, add transitions, callouts, animations and zoom in/out. It utilizes the AirPlay Mirroring to capture both audio and video from your iOS device. You can use it as a game recorder with facecam to showcase your amazing gaming skills and the raw emotions using the PIP effect. You can even use it to make a video explaining the working of an application to your team members. The PIP effect of DVDFab iOS Screen recorder lets you merge a second video using the front camera and second audio track using a microphone in the same video. This way the viewers will get to see you in the inset of the video and be able to connect with the content better. These all make DVDFab iOS Screen recorder the best screen recorder with facecam for iOS. Bandicam is a specialized facecam recorder which comes with different recording modes - screen-recording mode, gaming mode, and device-recording mode - that eases your task of optimizing your recording for different requirements. Attach a webcam to your PC, start a game and use Bandicam to easily record the video of the game with video from your facecam appearing in the inset. Bandicam lets you choose whatever part of the screen you want to record, full screen or a part of the window. Bandicam also comes with an annotation feature that you can use during live video recording to draw and emphasize something. The output files are generated in AVI or MP4 format. There are not many options for Linux users to choose from for facecam recorder. However, the best facecam screen recorder we have for Linux is Guvcview. It launches 2 windows, one the live camera image and the other contains different menus, controls and settings that you can do for the recording. It has a simplified interface for capturing and recording videos from v4l2 devices and from devices support by the Linux UVC driver. Guvcview comes with some vendor-specific extensions that you can use to record videos from tools like Skype, Cheese, MPlayer, etc. The output files can be generated in AVI, MKV or WebM format. You can also add special effects to your video like mono, negative, invert, etc. while capturing itself. Overall, if you are using Linux you won’t find a better facecam recorder currently. Camtasia is a highly popular screen recording software but also has the capability to double up as a facecam recorder if required. Its advantage is that like DVDFab iOS Screen Recorder & Editor, it too comes with a number of premium video editing features. Before starting the recording you can select the section of the screen you want to record. There are a lot of tools with Camtasia but they are surprisingly easy to navigate and use. However, the free version barely allows you to do anything and you have to pay quite an amount to buy the software which is specialized only in screen recording. Ezvid is a free to use facecam recorder. It comes with a text to speech converter which you can use to add audio to your screen recording. It has an easy to use interface with sufficient video editing capabilities to enable you to make work-related or personal videos. Its video editing tools let you annotate on the video post-recording, add images slides or text, change play speed. It also has a YouTube sharing option through which you can directly upload the recorded video to the YouTube. It can also be used to make videos using Powerpoint slides and has free music included which you can use to add as the audio track if you are not using a microphone. It also comes with an autosave feature which protects you from any unexpected happening to the tool or your PC like a crash. ScreenFaceCam is an open source tool that has a practically non-existent GUI of its own, making it extremely lightweight and fast. There is a menu bar through which you can do all your settings for the facecam recording. There is a menu item “Recording Size and Area” which you need to use to decide which part of the screen you want to record. Choose the resolution of the video through the “Video Quality” menu item and once all the settings are done use the “Start and Stop” option to start or stop the recording. That completes our list of the best facecam recorders for all types of operating systems. Your own requirements will help you decide which one is the best facecam recorder for you. If you own an iOS device then definitely DVDFab iOS Screen Recorder & Editor takes the first place, for Windows if you are looking for a free tool then Ezvid and ScreenFaceCam both are good choices but if your needs are professional then it would be more suitable to spend some money and buy Camtasia. And for Ubuntu users, not much of choice here except to go for the best tool available currently - Guvcview. Are you looking for an AVI video player for Android to play your AVI videos on your Android phone? Here are top 10 best Android AVI video players which come with many advanced features that you may like. This article introduces the top 10 best MOV converters to help convert MOV video files to other formats on Windows PCs or Macs. How to Convert MOV to AVI Using DVDFab Video Converter? Wondering how to convert MOV to AVI? 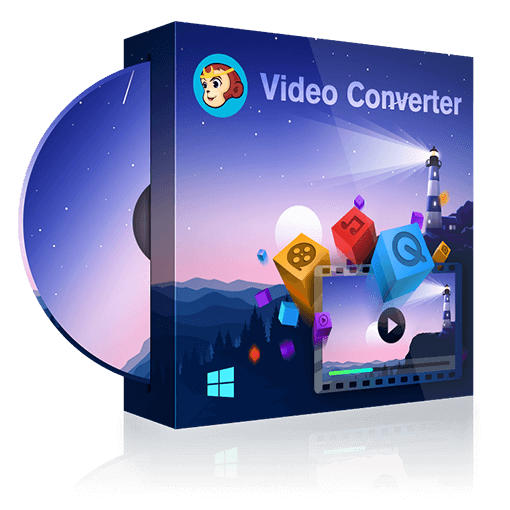 Here is your best converter tool for you to convert MOV to AVI at ease. Go to learn the detailed conversion steps.